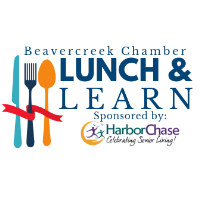 Lunch and Learn: "The Future of Marketing - Streaming Platforms & Targeted Marketing"
Refunds can only be given for cancellations received 48 hours prior to the event. Join us for a presentation by Richard Turner, Digital Sales Manager at WKEF/WRGT-TV: "The Future of Marketing - Streaming Platforms & Targeted Marketing"
Business professionals will learn how to target zip codes, behaviors, interests, and demographics to reach their target audience. This presentation will discuss over the top content and how streaming is changing TV.